I mentioned yesterday a selection of Holland House vinegars and cooking wines I got from Mizkan. One of them is a white cooking wine with lemon flavor, which reminded me of the chicken saltimbocca at Buca di Beppo. This is a simplified version, made with what I had on hand. Wait … not true. 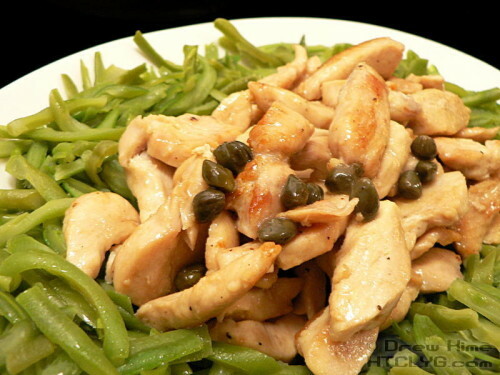 I picked up some capers while I was out. But if I didn’t have them, this would still have been great. 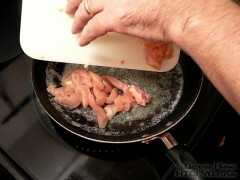 Slice the chicken (across the grain) into thin strips. I’d show you, but when you’re working with raw poultry you have to wash your hands every time you touch it. I didn’t want to cross-contaminate the camera. 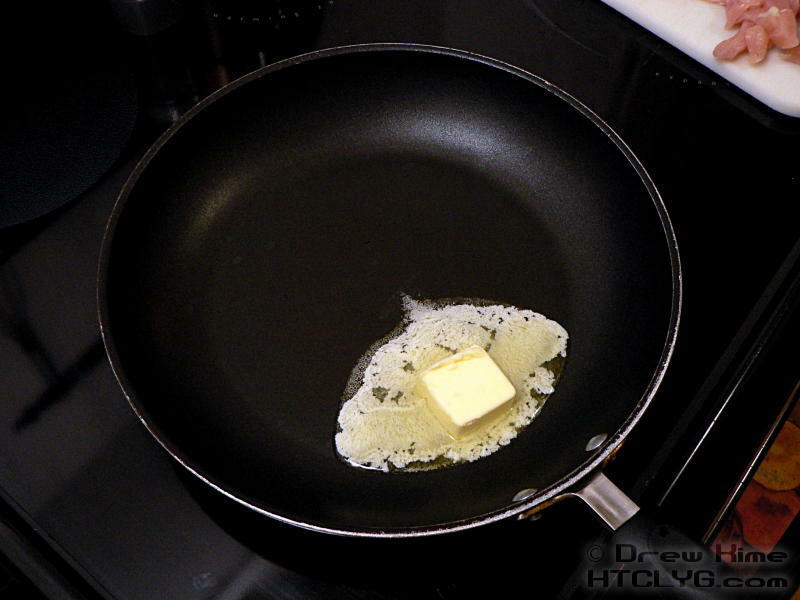 Anyway, once the chicken is sliced, melt two tablespoons of butter in a shallow pan over medium heat. Add the chicken and cook just until there is no pink left in the center. 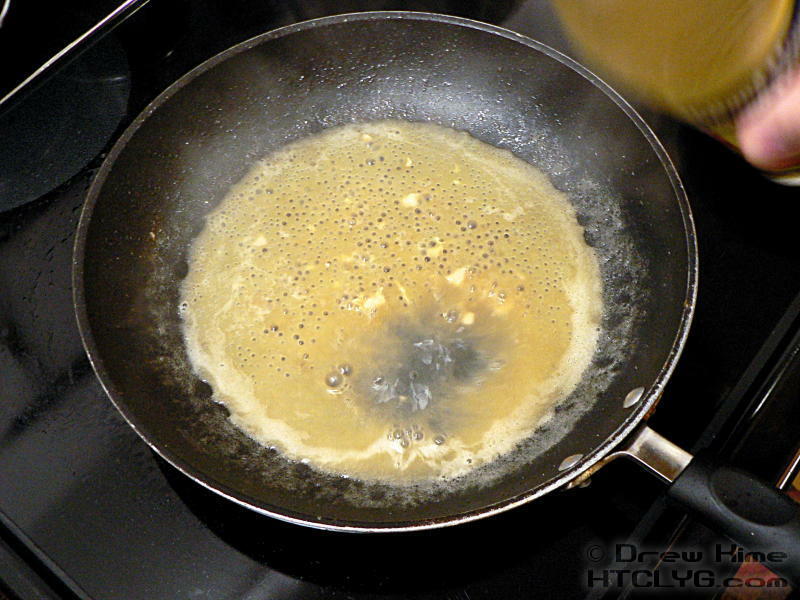 Scrape up any brown bits cooked onto the bottom of the pan, and stir the sauce together well. NOTE: If you don’t have the flavored cooking wine, add a couple of teaspoons of lemon juice along with the wine. 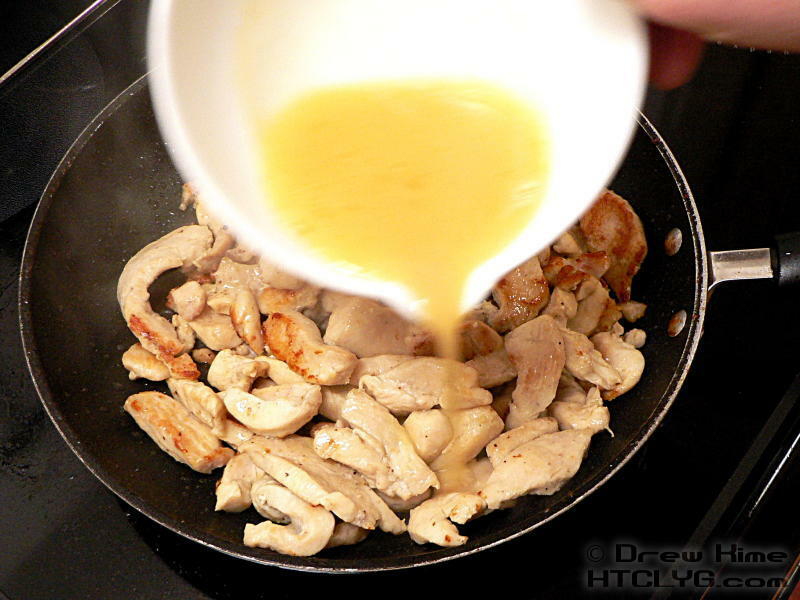 Remove the sauce to a different bowl. 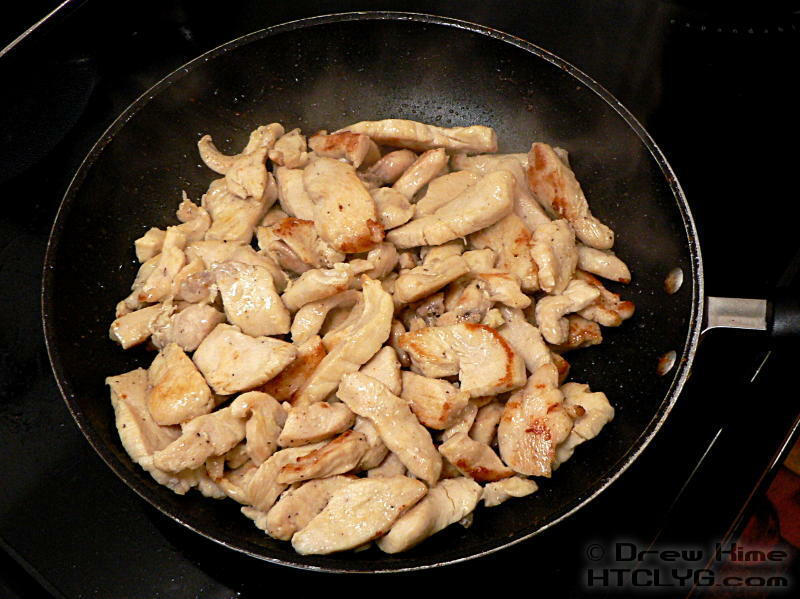 Turn the heat up and return the chicken, tossing until it is lightly browned. 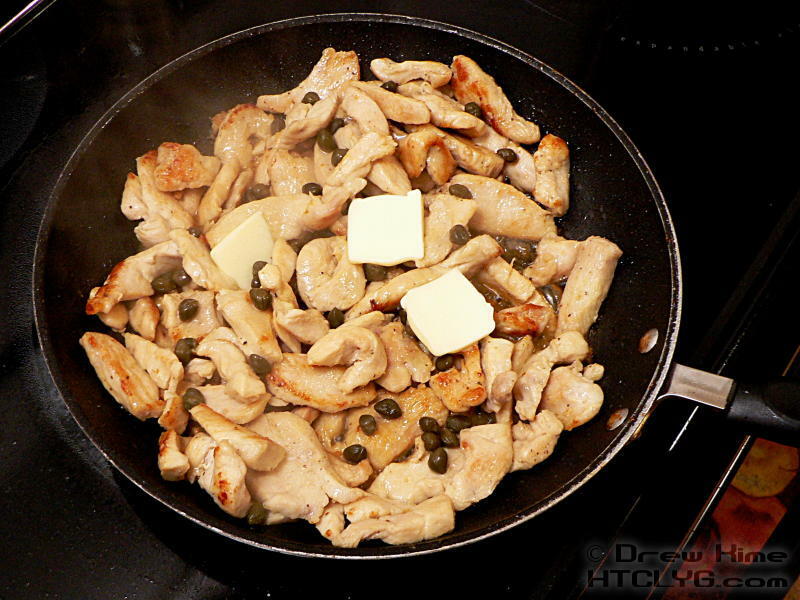 … then add the capers and a little more butter. Toss to coat and serve with pasta, or green beans, or snap peas. Oh, and PS: The girls loved it. Any time the kids like “grown up” food is a double win in my book. 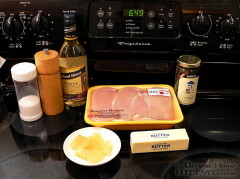 Slice the chicken (across the grain) into thin strips. Melt two tablespoons of butter in a shallow pan over medium heat. 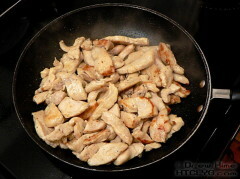 Add the chicken and cook just until there is no pink left in the center. 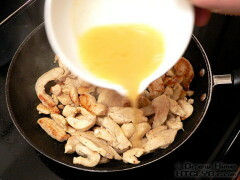 Remove the cooked chicken to a bowl, but leave all the liquid in the pan. 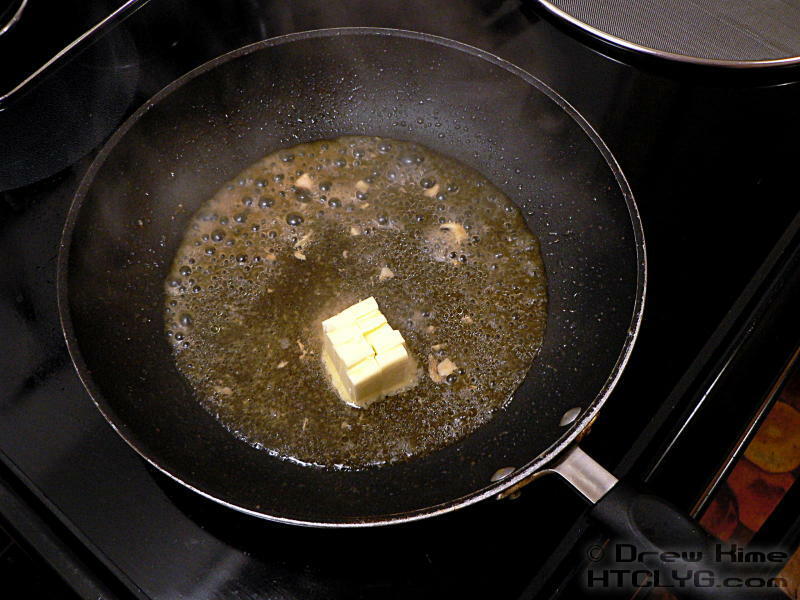 Add another two tablespoons of butter and the white wine. Scrape up any brown bits cooked onto the bottom of the pan, and stir the sauce together well. NOTE: If you donâ€™t have the flavored cooking wine, add a couple of teaspoons of lemon juice along with the wine. 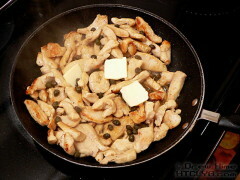 Add the sauce back in then add the capers and a little more butter. Toss to coat and serve with pasta, or green beans, or snap peas.